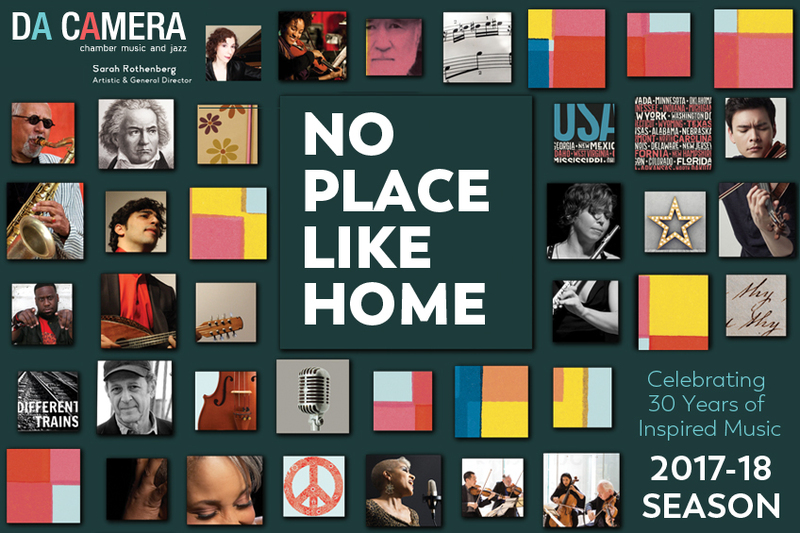 Da Camera has announced its 2017/2018 30th anniversary season, with the theme NO PLACE LIKE HOME. The 17/18 season’s programming centers on Houston’s rich history and asks relevant questions about the meaning of home. The season explores America, exile and how the universal theme of home is expressed in music, art and poetry. It also asks how the composers, writers, performers and visual artists of today address issues of home in their work. Across styles and genres, Da Camera’s 2017/2018 season presents artists who rely on their personal experiences, identity and influences to address these questions and create a style uniquely their own. See the detailed season schedule. Subscribe for the 17/18 season.